Recently autism was in the news as the wife of deceased Bob Denver, who was the actor Gilligan from Gilligan’s Island and founder of The Denver Foundation to help children with disabilities, has written a book where their son Colin’s problem with autism is described. 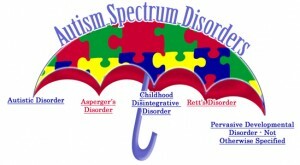 Autism is a relatively new disease entity. We are now talking about the autism spectrum disorder, as autism is a certain behavior/symptom constellation that is expressed with different degrees of severity in children who are diagnosed with autism. Autism is much more common in males than in females. In the following I will discuss risk factors for autism, then review why it is so important to diagnose autism right away so that treatment for it can be started earlier than in the past. Autism has been found to be due to a combination of factors. 1. Compared to a few decades ago women are often older than 30 and men frequently older than 40 when they decide to have children. But studies have shown that when a man fathers a child at the age 40 or older the risk of the offspring to develop autism is higher than when the father is younger than 30. 2. A woman above the age of 30 is already getting into the older age category from the viewpoint of reproduction where the natural production of progesterone from her ovaries, which is paramount for keeping a pregnancy alive in the first 10 to 12 weeks, is declining. Also, the placenta of a pregnant woman above the age of 30 is not producing as much progesterone as a woman in her early or mid 20’s. 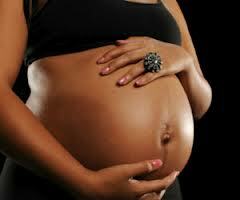 However, a high progesterone production of the placenta is necessary to prevent premature labor. The consequence of this can be that older women give birth to premature, underweight children (Ref. 1 and 2) who are at a higher risk to have neurological problems including autism. Children with a low birth weight have 5-times higher autism rates when compared to children with a normal birth weight. When a woman has gestational diabetes there can be overgrowth of the fetus and like for prematurely born, underweight children there is a definite risk for a baby born much later than the expected date to develop autism. 3. There are genetic and epigenetic factors that can trigger autism. Shank mutations are responsible for idiopathic autism spectrum disorders (ASD) both in humans and in mice. This confirms an earlier study from 2006 in France where Shank 3 gene mutations were found in human autism cases. Recently research from Stanford University identified another genetic mutation, namely neuroligin-3 amino acid substitution and a neuroligin-3 deletion, which can be responsible for autism in mice. Epigenetic switches play an important role in the placenta, which according to research from the University of British Columbia, Vancouver/BC is likely the key for understanding autism. Another publication also stresses the importance of epigenetic switches in the development of autism. Stress during pregnancy can lead to changes in placental biochemical pathways, which causes prenatal epigenetic programming in the direction of autism. More research will be done regarding genetic causes of autism. However, it appears that the various research findings are converging to only a few key biological processes. 4. A lack of serotonin from the placenta may lead to autism in the fetus as this publication shows. 5. Certain toxins such as PCB can disrupt the development of normal neuronal pathways in autism as is summarized in this paper. Even a frequently used anti-epileptic drug, valproate (Depacon), has recently been identified as causing a 5-fold increase in autism during pregnancy. 6. In April 2009 a study from the Karolinska Institute investigated a Somalia refugee subpopulation that were found to have high autism rates in Sweden and in the US, due to very low vitamin D levels during the pregnancy. The theory was developed that at least one of the causes for autism can be vitamin D deficiency in the mother’s womb. A lack of Vitamin D may be the epigenetic trigger to change metabolic processes towards those subtle metabolic changes occurring in autistic children. 7. In 2007 this study showed that the typical delay of the diagnosis for autism in the US was about 18 months and that the average rate at this point was 1 in 150 live births. 8. Apart from these factors there are other observations that are closely related to the diagnosis of autism. Children with autism show remarkable brain growth during the first year of life, but subsequently have a period of slowed brain development (Ref.5). 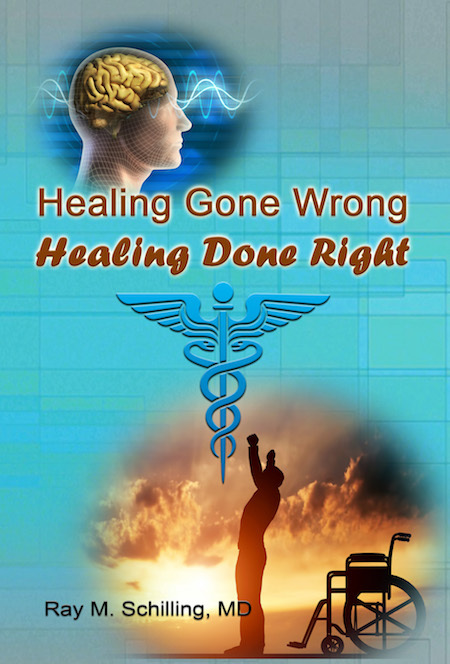 There seems to be an inflammatory process associated with the neuropathological changes in the brain resulting in disconnections and a lack of communicative connections between various parts of the brain. This leads to a lack of higher brain functions like speech and social skills. MRI scans have shown specific changes in some severe cases of autism, but this is not uniform enough between cases to use as a diagnostic tool. The author of Ref. 5 uses a “biomedical approach”, which assumes that autism is a syndrome that is genetically based, but triggered by certain factors as listed above (point 1 to 6 and possibly more) during the time of the pregnancy, in the neonatal period and in early infancy. This leads to the changes in the gut (leaky gut syndrome), in the central nervous system, to food allergies, autoimmune reactions and metabolic changes. According to Ref. 5 biomedical practitioners have remarkable treatment successes by identifying where the problems are and treating each one of them. DAN (“diagnose autism now”) physicians who take a special interest in children with autism have shown that an early diagnosis of autism and early intervention with a well-orchestrated treatment protocol can lead to good outcomes, where the child is often losing the diagnosis of autism and developing normally. DAN physicians are changing into the Medical Academy of Pediatric Special Needs (MAPS), but the goal of helping autistic children early is the same. I have described the multi-step treatment protocol under Ref. 3 in the Net Health Book. Briefly, a multitude of medical tests is done initially to establish the diagnosis and the severity of autism. This gives the doctor the basis for a personalized treatment approach. A combination of hyperbaric oxygen (HBOT) and detoxification with intravenous chelation treatments can remove toxins and heavy metals from the body. Stool samples can determine whether Clostridium difficile or Candida albicans is present, which are appropriately treated. Dysbiosis , a term to describe an abnormal gut bacteria mix, is common and needs to be rectified with probiotics. If leaky gut syndrome is present (in 43% to 76% it was shown to be present in three different well controlled studies, Ref. 5), this may also point to food allergies and autoimmune problems that have to be addressed as well. Along the line of abnormal gut bacteria in autistic children, new research is considering the development of a vaccine to help normalize gut bacteria. There appear to be a number of metabolic weaknesses that have to be diagnosed, as there are wide variations among autistic children. Ref. 5 points out that methylation defects in the metabolism are common and the blood is lacking antioxidant enzyme systems. As a result there are weaknesses in the immune system and detoxification of heavy metals (such as mercury) is often slow. There have been many studies, which were reviewed in Ref. 5, where it was shown that multiple vaccinations have not been the main culprit to lead to autism, it is the metabolic weaknesses of an autistic fetus and/or child that led to slow detoxification to the point where exposure to polluted air and seafood, even consumption of seafood of the pregnant mother in the womb, could cause high levels of mercury in the infant (due to methylation, sulfation, and antioxidant deficiencies). Another observation that is important is that autistic children have 23% lower levels of omega-3 fatty acids in their blood than controls and 20% lower levels of polyunsaturated fatty acids (Ref.5). Omega-3 fatty acid supplementation is therefore important. As omega-3 fatty acids have anti-inflammatory effects, it also helps to combat the inflammation mentioned above. Ref. 5 also points out that autistic children are often put on a gluten-free, casein-free (GFCF) diet as autistic children are more vulnerable to food sensitivities, particularly gluten and casein. This is a practice done to prevent or improve on leaky gut syndrome. However, Ref. 5 points out also that testing methods (RAST test, IgE and IgG tests) for gluten and casein sensitivities are unreliable and not reproducible. The only practical method to find out what foods autistic children will tolerate is a painstaking food elimination and retesting program. Whatever food component is suspected to cause worsening of autism is eliminated from the menu for a period of time; it can be reintroduced as a challenge test several months later to see whether it is still causing problems. On the other hand the child needs a balanced nutrition, which can be very tricky with autistic children often being picky eaters. The key is to pay attention to all of the pieces of the puzzle and to use remedies to address the issues at hand regarding a particular autism patient. This can be quite costly, but those patients with autism who received the benefit of early intervention at the age of 2 or 3 when the diagnosis was first made, became normal children, possibly even more gifted than the average child in their age group. Whether or not autism exists is no longer the question. The question is how early the treating physician can diagnose it. 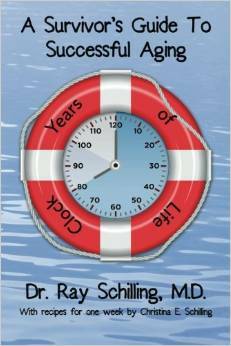 Under point 7 above researchers found that the diagnosis is often made 18 months too late! With an early diagnosis and early intervention autistic children can grow up to be productive members of society with no residual features of autism. If the diagnosis is missed early on, it develops into a life long disability requiring constant care and supervision. I suspect that it is the epigenetic changes mentioned above, possibly from pollution of our environment and the other factors mentioned that may switch genetic switches into the wrong direction (namely towards autism, autoimmunity, leaky gut syndrome and brain dysfunction). Children are much more sensitive than adults, which would explain the explosion of cases of autism in the last few decades. But looking at the other end of the life cycle (old age) we are also seeing effects on the central nervous system with an enormous increase of dementia and Alzheimer’s disease in the last few decades. Could there be similarities? Future research will tell. Ten years ago folate became the hero among the food additives. The decision was made to make it mandatory to enrich flour, pasta and other foods with folate with the goal to reduce the incidence of neural tube defects in newborns. Folate also was a valuable as a prenatal supplement. A study which involved seven provinces of Canada which was published in July 2007 in the New England Journal of Medicine showed that the supplementation has been a success in this respect, as neural tube defects had been reduced by 46 %. Folate also seems to have been of benefit in the reduction of strokes, as it has the propensity to lower blood homocysteine concentrations. In the meantime not all seems to be well, as there is a darker side to folate. 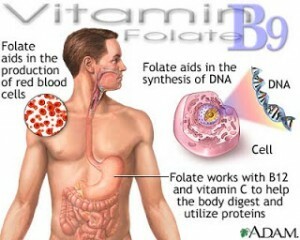 Already decades ago studies warned that folic acid given to leukemia patients hastened the progression of the disease. In a publication of the American Medical Association results from a polyp prevention study were written up. The vitamin was associated with a higher rate of advanced adenomas (tumors of the colon). These findings cannot be easily ignored. On the one hand about 1,500 children are saved from a devastating birth defect; on the other hand the number of colon cancer cases increases by 15,000 per year. At this point there is no suggestion in Canada or in the US to abandon the food fortification with folate. In the U.K. the implementation of folate fortification has been delayed till more research is available. As food supplementation with folate may be higher than necessary, it seems wise to exercise a measure of caution. Women with a family history of colonic polyps should be advised to take the minimum folic acid dose in their prenatal supplementation. As far as male patients are concerned doctors should excise caution before they advise patients that are over 40 about the perceived benefits of vitamin supplementation. Any of the perceived benefits ought to clearly outweigh the potential risky side effects, which is not only true for any medication but also for any vitamin supplement. Nitroglycerine has been a tried and tested drug for patients who suffer from angina, but the chemical has other benefits: the drug can retard labor and delivery, if a woman is having premature labor. This result comes from research at Queen’s University Perinatal Research Unit at Kingston General Hospital, Canada. Other tocolytics, which is the term for labor delaying drugs, are also on the market showing comparable results, but the nitro patch had an advantage, as it significantly reduced morbidity during the neonatal period. The researchers worked with 158 women who went into premature labor between 24 and 32 weeks of pregnancy. In a randomized trial they either received a transdermal patch of nitroglycerine or placebo. If contractions continued an hour after the patch was put on the skin, another one was added. The following day treatment was repeated. Delivery was delayed 10 days for all, and a very significant 23 days for those in labor before 28 weeks. Any prolongation of pregnancy closer to a term delivery is helpful, but the greatest significance applies to those, where labor starts before 28 weeks. This is the group of babies that are most at risk, says lead author Dr. Graeme Smith of Kingston General. There may be two reasons for the overall benefits of nitroglycerin treatment. On the one hand nitroglycerine protects pregnancy in the most vulnerable group, where the mothers enter labor before 28 weeks. The other aspect may be that the nitro patch may be having effects beyond the labor-delaying properties such as better blood flow in the placenta, as there is enough of the medication that reaches the placenta. Dr. Smith reports that at this point there is no “gold standard” tocolytic in Canada. Tocolytics have shown little improvement and frequent side effects. Compared to other tocolytic medications the main side effect of the nitro patch has been a mild headache. In most cases it was not necessary to remove the patch. It is estimated that nitroglycerin is now used in about a third of Canadian centers. Prenatal vitamin supplements are the norm, as folic acid has been known to play a role in the prevention of neural tube defect. Generally they are taken once pregnancy has been confirmed. Dr Jorge Chavarro from the department of nutrition at the Harvard School of Public Health in Boston pointed out, that multivitamin supplementation has its place earlier than just after the pregnancy test has become positive. In one of the largest studies involving 18,000 married pre-menopausal women, regular use of multivitamin supplements were associated with a decrease of infertility. The key is in the regular use. Women who took two multivitamin tablets per week had similar infertility rates as women who did not take supplements at all. Those who took 6 or more multivitamins had a 40% lower risk of anovultation, a condition where no eggs are released by the ovaries. Most of the women were Caucasian between the ages 24 and 42. 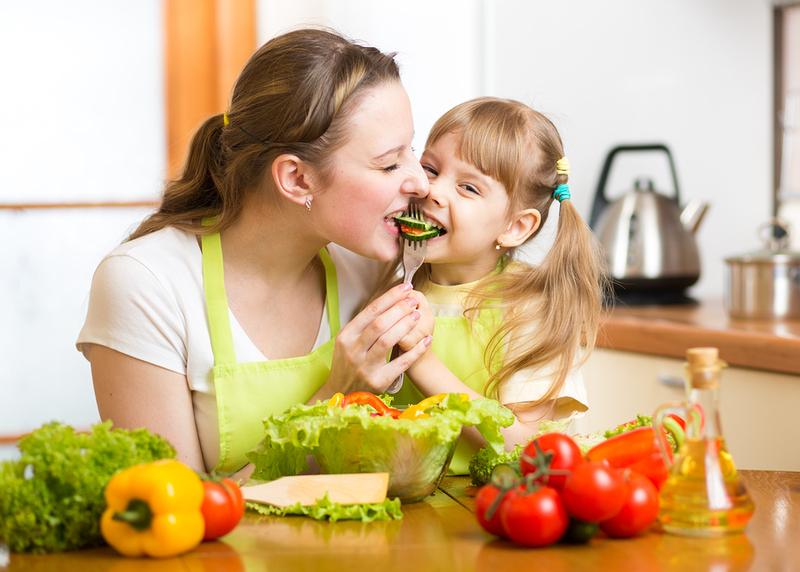 The importance of nutrition is coming increasingly into the forefront in reproductive medicine. One condition known as polycystic ovary syndrome (PCOS) is often a reason for infertility. It is one of the red flags that point to the condition of insulin resistance, and it manifests itself in menstrual irregularity and higher levels of androgens, often showing as increased facial hair. As the metabolism is headed for trouble, diabetes, high blood pressure, high cholesterol and heart disease would tend to develop. Researchers at Columbia University in New York conducted a pilot study to see if insulin sensitivity in women with PCOS could be improved. Cinnamon, a well-known spice, has been known to have a favorable effect on the insulin response of the body. Researchers found that eight weeks of treatment with cinnamon extract significantly decreased fasting glucose and insulin resistance in women with polycystic ovary syndrome. Dr. Jeff Wang who conducted the study reported that no side effects or adverse reactions were reported throughout the study period. If large-scale prospective studies confirm these findings, then recommending cinnamon as a dietary factor may be a simple, inexpensive lifestyle change that can be easily followed. Reducing insulin resistance is a key to improve the overall health status in patients with PCOS, and it ties in with reproductive health benefits as well. Uterine fibroids are the most common uterine tumors that affect women in North America. At least 25% have the symptoms that point to a diagnosis of fibroids, and as many as 77% may have fibroids that are asymptomatic. Symptoms of fibroids can be a feeling of fullness in the pelvic area, heavy periods and bleeding between the periods resulting in anemia. Infertility and miscarriages can also be a consequence. About 60% of women with fibroids will undergo surgery, but the trend is moving towards nonsurgical treatment. 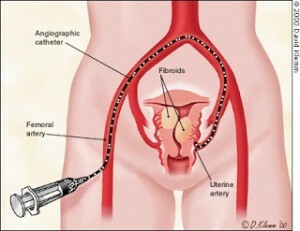 40% of fibroid patients will receive uterine artery embolization (UAE). The advantages are significant, reports Dr. Sanjoy Kundu, a radiologist at Scarborough General Hospital in Toronto. Compared to the less invasive UAE, fibroid surgery has a higher rate of major complications like infection and pulmonary embolism. None of the patients undergoing uterine artery embolization experienced any complications of infection or pulmonary embolism. UAE patients also have shorter hospital stays ranging from 1 to 4 days, whereas surgical patients had hospital stays ranging from 2 to 25 days. Due to these positive findings, 60% of treatments for uterine fibroids at Scarborough General Hospital are now done exclusively with the less invasive procedure, and researchers suggest that UAE for the removal of fibroids should become first-line therapy. New findings from an observational study point to the intake of vitamin D during pregnancy as a way to curb childhood asthma. Dr. Carlos Camargo at Harvard Medical School and his colleagues followed more than 2000 pregnant women and their children, and data on 1,194 subjects over the span of three years are now available. Risk factors for asthma in the children at age 3 showed an inverse relationship with the women’s consumption of vitamin D. The lowest intake of vitamin D was 356 IU; the highest was at 724 IU. The children of mothers who consumed the highest amount of vitamin D were half as likely to have wheezing in the first three years of life compared to those whose moms had the lowest vitamin D intake. The children’s vitamin intake did not have any effects on the result, suggesting that it is within pregnancy vitamin D supplementation is of importance. A study of investigators in London going back to 2005 reaffirms the fact, that vitamin D has a positive impact on respiratory health. 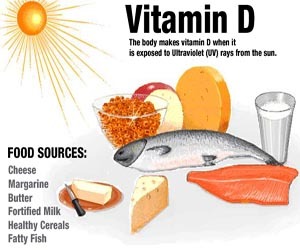 Vitamin D was given to steroid-resistant asthmatics. Authors of the study suggested that the therapeutic response to glucocorticoids was increased in this group. Further epidemiological investigations are needed to study the benefits of vitamin D as an inexpensive prenatal supplement to prevent childhood asthma. 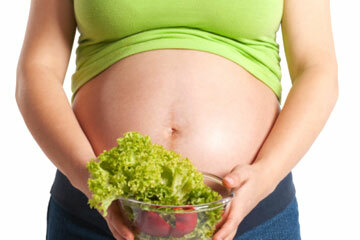 The importance for good maternal nutrition during pregnancy has been emphasized for a long time. Of course in this case it was up to the mom-to-be to avoid toxins, such as smoking and alcohol and to take prenatal supplements along with sensible nutrition. Enticing the women away from the excesses of the standard Western diet would yield handsome health benefits for the country. Dr. David Barker, a medical advisor to the British government pointed out, that this approach would reduce heart disease, diabetes and other chronic diseases in the mothers as well as in their offspring. 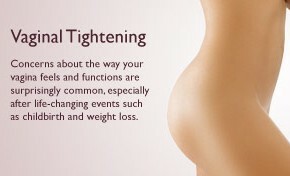 This concept does not address all the aspects, which are important for a healthy pregnancy and a healthy baby. For the past 20 years a group of around 20 British family physicians, obstetricians and researchers under the name of Foresight has been putting a program into practice, which identifies and addresses the health deficiencies in prospective parents. Almost all couples that followed the pre-conception program had previously experienced problems relating to conception, pregnancy and birth. In one follow-up study of 367 couples that followed the Foresight program from 1990 to 1992, 327(89%) of the women became pregnant and had healthy, well-developed babies. None of the babies suffered malformations and none was transferred to special care. Of the 367 couples, 217(59 %) had suffered from infertility (from 1 to 10 years) and 139 (38%) had histories from 1 to 5 previous miscarriages. Eleven (3%) had previously given birth to a stillborn child, 40 had small-for-date babies and 15 had already had a low birth weight baby (less than 2,500 g). Seven couples had a previous baby with malformations and three had lost a baby to sudden infant death. In a larger follow-up study of 1,076 couples, almost all of whom had previous fertility or miscarriage problems, 846 conceived success rate of 78%, as reported by Belinda Barnes, who runs Foresight. There were four problem pregnancies, including one Down syndrome baby, two terminations and one child with an adhesion of the intestine, which was correctable. This is a complication rate of only 0.47 %. As the complication rate in the general population amounts to 6.43%, the pre-conception program has only 1/7th of the complications, a strong indicator that a pre-conception program does make a difference. Smoking during pregnancy has been found to be harmful to the unborn child, and secondary smoke has long been recognized as a health risk for children. Doctors and health care providers keep on pointing out the hazards: aside the risk for the mother-to-be there are the consequences for the children: low baby birth weights, respiratory problems for children. In the meantime there is another good reason for the pregnant woman (and other household members) to quit. Passive smoking for the unborn child and in childhood seems to have a lasting effect on the airways. There is an increased risk for adult respiratory problems and asthma, reports Dr.Trude Duelien-Skoge, who is a respiratory physician at the University of Bergen, Norway. A long-term study was concluded between 1985 and 1996 involving 2,819 adults. Those participants, who had been exposed to tobacco smoke as unborn babies, were three times more likely to develop adult asthma than individuals whose mothers were non-smokers. Exposure to tobacco smoke in childhood alone was associated with a two-fold risk for adult asthma. The worst consequences were born by the group that was exposed to tobacco smoke as unborn children and during childhood: they were three-and-a-half times more likely to develop asthma as adults. Several studies pointed to the fact that there are structural changes in the airways of children who had prenatal exposure to tobacco smoke. This does not come as a surprise, as many toxic chemicals from cigarette smoke pass freely across the placenta, and prenatal smoke exposure has been associated with a host of childhood illnesses. 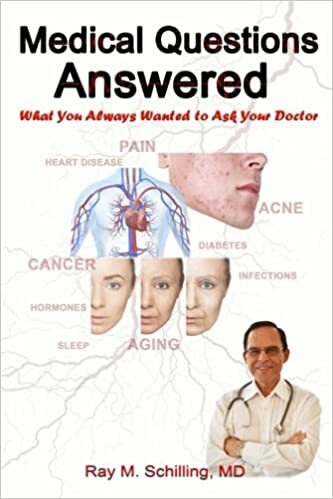 From early changes the road is paved to either slow progression of disease or inducing vulnerability in the airways, which only becomes evident with later exposures. Due to the far-reaching health risk it is all the more important to be aware of prevention: neither should the unborn child be exposed to cigarette smoke, nor should the growing child be subjected to it, and all efforts should be made to convince the adult smoker of the benefits of quitting smoking.